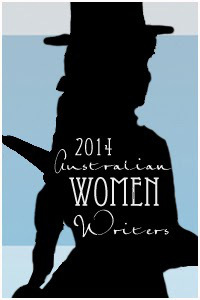 This is my first review for the 2014 Australian Women Writers Challenge. My tardiness can, in part, be attributed to the delightful experience of participating in this year’s Perth Writers Festival. And it was through that participation that I had the pleasure of reading the book I’m reviewing here: Andrea Goldsmith’s seventh novel, The Memory Trap. 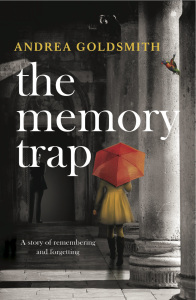 The Memory Trap is an engrossing character-driven novel underpinned by ideas about obsession, memory and memorialisation. Four of the five main characters whose relationships are the novel’s engine are sets of siblings: brothers Ramsay and Sean, and sisters Nina and Zoe, who grow up in suburban Melbourne as next-door neighbours. Ramsay is a child prodigy pianist who is nurtured and cosseted into a musical genius; he is also a poor excuse for a human being. Sean, his acolyte, is cast aside in adolescence and becomes estranged from his brother; he grows up to be a restless, diffident man, a travel writer who spends most of his life away from home and his long-term partner, Tom. Zoe, also a musician (a cellist) but not in Ramsay’s league, loves Ramsay from the earliest days when they played duets together, and her continuing devotion allows little space in heart or mind for anyone else, including her husband and children. Only Nina, it seems, escapes the poisonous influence of Ramsay’s self-absorption and utter disregard for others, but her love for her sister and her closeness to Sean mean that she cannot escape his influence entirely. It is Nina who sets the story in motion when, following the breakdown of her marriage, a work opportunity draws her back from London to Melbourne, back to Zoe, Sean and Ramsay. The fifth principal character in this web of relationships is Zoe’s husband, Elliot. We first see him through Nina’s eyes as a monster, tormenting Zoe with snide, vicious comments that she, bafflingly, seems able to ignore, even accept. In the first third of the novel, I felt, as Nina does, indignantly hostile towards Elliot and nonplussed at why Zoe would remain in such a destructive marriage. It is a tribute to Goldsmith’s excellent use of shifting points of view that these perceptions changed, to the point where I was able to feel empathy for Elliot. This shift begins when Nina witnesses a scene between Zoe and Ramsay in which it is painfully clear to her and to Elliot, who is also watching, that Zoe does not love her husband and never has; that she is capable of loving only Ramsay. The story then becomes Elliot’s, and we see the monstrous armour fall away, revealing the naked pain of a man unloved by the object of his obsession. The use of narrative shifts from character to character works very well, giving us access to interior lives and creating characters of substance (although a short section towards the end of the novel from the point of view of a minor character felt slightly jarring to me). But remembrance and history aren’t the same thing. Remembrance selects from the past, it appropriates a snippet of history for a purpose, perhaps to justify a grievance or a recent act of aggression, and ignores practically everything else. As interesting as this is in relation to the building of monuments, it also reflects the way individuals may memorialise their own past, and how obsession can be a trap born of remembering and forgetting. In the years to come Zoe held on to those five weeks with Ramsay in New York as her sojourn in Eden. Brief and complete, that time together remained perfect, a snowdome to be taken out when life weighed in with trouble. So many things—ancient trees, books, memories, monuments—give the impression they’ll endure. But they don’t. And a marriage? You want it to be solid, you want it to be secure. But it lumbers into the future on the back of its past; a past of castles, a past of straw. Some people say the best endorsement for a book is the desire to track down others written by the same author. So I will just conclude by saying I’m currently reading Andrea Goldsmith’s sixth novel, Reunion (Fourth Estate, 2009), and finding it to be another intelligent, compelling study of character and relationships. Hello Amanda, I haven’t read your review yet because I have this novel on my TBR, but I saw the words ‘pleasure of reading’ in your opening paragraph and I am not surprised. I loved Goldsmith’s Reunion and like you was impelled to track down others: I’ve managed to find a couple on her backlist (Modern Interiors and Facing the Music) which I’ll get to one day soon. She is so good at capturing the preoccupations of the modern world! Hi Lisa. Capturing the preoccupations of the modern world—yes, what a good way of putting it. I look forward to reading your thoughts on The Memory Trap when it reaches the top of your pile! Enjoyed reading this Amanda! Will put it on the ever growing “to-read” list. Will we ever get through those lists, I wonder! I hope so 🙂 Thanks, Pearse.